JDM Sport developed high performance exhaust catback system for both turbo charged and naturally aspirated applications with offset muffler and piping design for many street applications. It offers a greater flow and higher RPM power gains as engine tuning levels increase. Depending on application, the piping is 3" inch and tip is 3.5" inch in diameter. 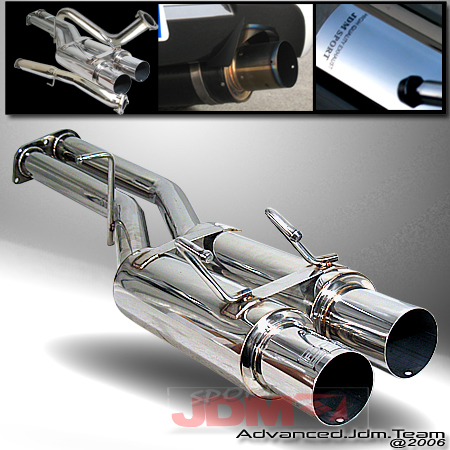 Exhaust are made from polish SUS304 stainless steel piping and dual muffler shell with titanium tip and silencer. Application:89 90 91 92 93 94 NISSAN 240SX S13.